Well, since my marathon on Saturday, I have not been feeling like eating… Not sure what’s going on with my body, but food is not my jam at the moment. So, for today’s What I Ate Wednesday post, it is more like What I Forced Myself To Eat Wednesday 🙂 I know, I shouldn’t force myself to eat…but my odd lack-of-appetite needs to get back into check. LOL,…so it is Earth Week at work and we have a recycling competition between our teams (art department, art development and technical applications, and the product development and art merchandising). There are large boxes in each area : 1 can counts as 1 point and 1 bottle counts as -1 point. The most points at the end of the week wins! The point is to put as many cans in your own teams boxes and put your bottles in the other teams boxes… Our team (art development and technical applications) are BIG on competitions…so we are doing everything we can to win 🙂 I am just doing my part to be an active team member! The hubs always makes a great egg bake – hashbrowns + eggs + ham + cheese + peppers and/or onions. Towards the end of last week, he made a bake for dinner and I ate the last portion for my morning snack! One of my favorite things to get at Costco is their 7 Superfoods Salad mix – I could probably eat the whole bag in a day… So, to keep me from doing that, I have started mixing it with other greens I have on hand and using it as more of a topper rather than a main course. I chopped up some lettuce, added the 7 Superfoods Salad Mix (including cranberries, pumpkin seeds, and dressing) and lunch is served! [afternoon snack #2] plain Greek yogurt + Tropical Granola (from last weeks Bountiful Basket – ordered more this week!!!) – layers of yummy yogurt and yummy homemade granola – YUM! Just another day in the life! Check out the other WIAW posts with Jenn and her gang of foodies – Arman, Meghan, and Laura. 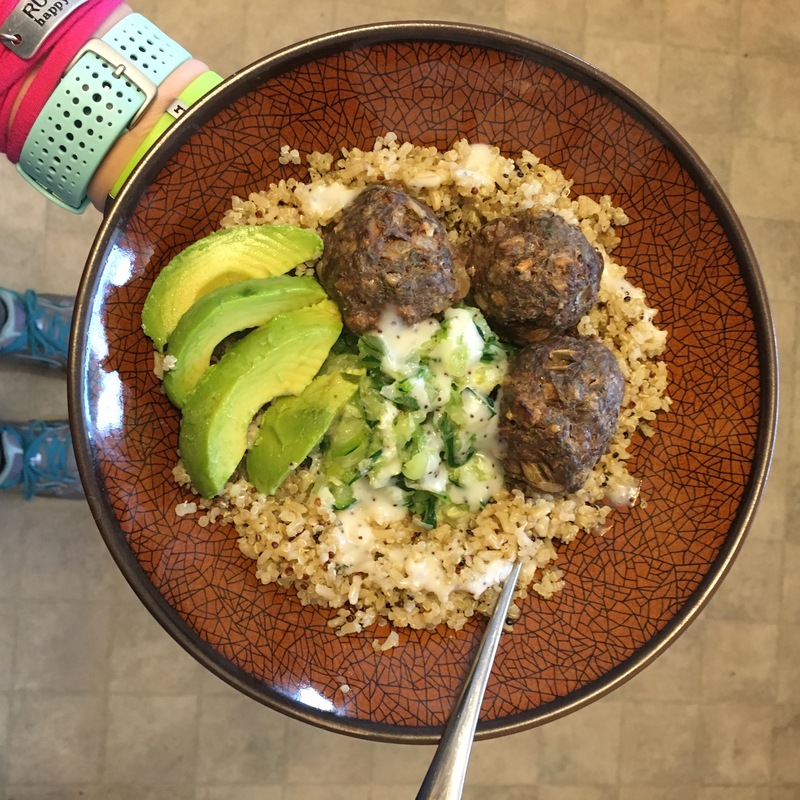 I enjoy checking out the other link ups for meal inspiration! It’s so rare that I’m NOT hungry or don’t have a raging appetite, haha. So it’s hard for me to imagine what that’s like! I need to find that superfood blend from Costco. That sounds awesome!